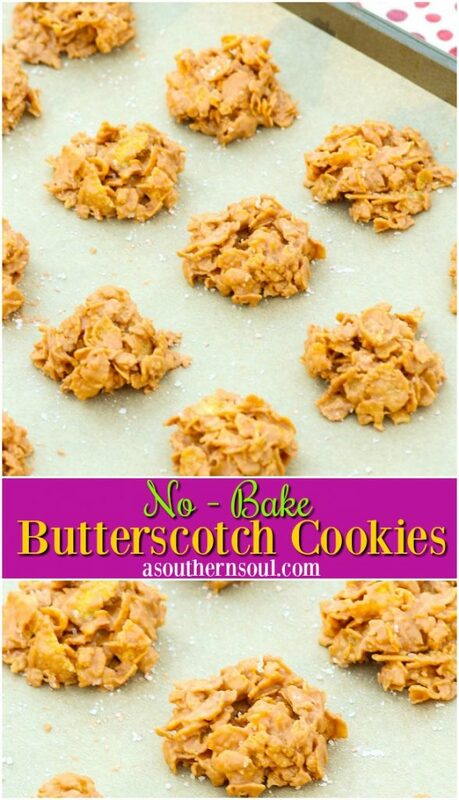 No-Bake Butterscotch Cookies are so hard to resist! 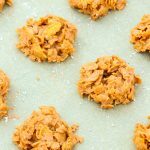 Made with crunchy corn flakes, melted butterscotch chips and creamy peanut butter, then dusted with a bit of salt, they are so easy to make you’ll be amazed. One of my all time favorite flavor combinations is that of salty and sweet. When they come together in the form of a no bake dessert, then I’m all in! That’s what’s happening here with these cookies. As an added benefit, they’ve got a crunchy texture in every single bite. I must admit, I’m not much of a cookie baker. Don’t get me wrong, I like cookies but not really enough to make a big batch. I think it’s actually because my impatience gets the best of me so, when I can whip up a batch of no-bake cookies, well, I ready to bust out my mixing bowls. 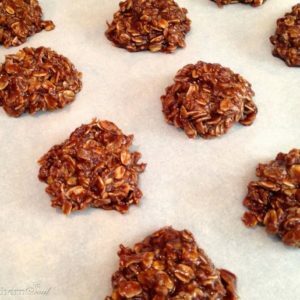 This butterscotch version of Chocolate No-Bake Cookies is a delectable take on that classic recipe. 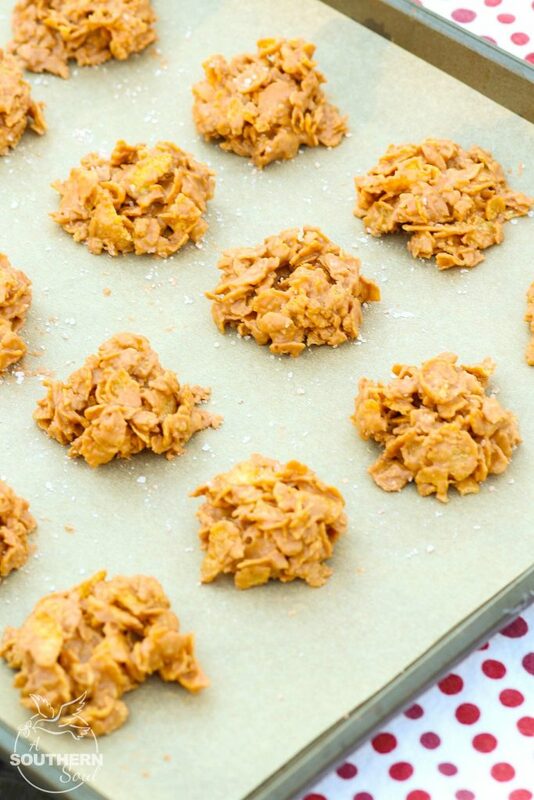 The combination of smooth, butterscotch and peanut butter, coating crunchy corn flakes is just scrumptious. 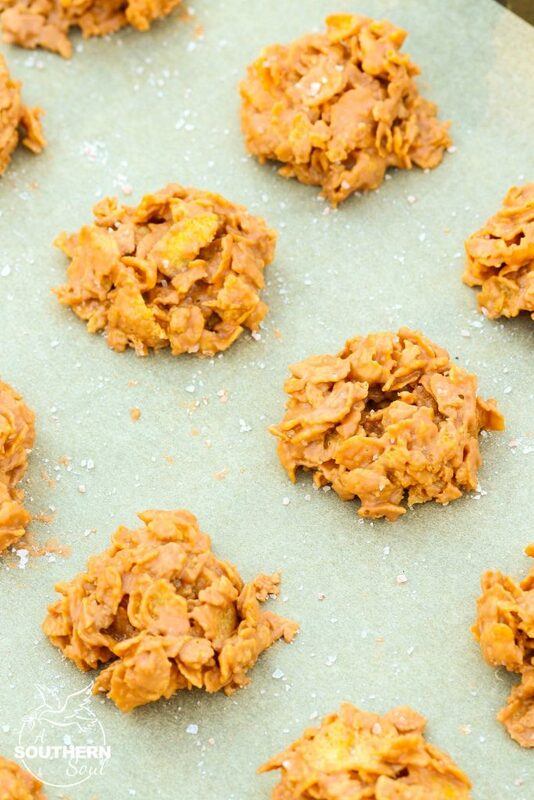 To make these cookies even more temping, they’re finished off with a slight sprinkle of pink Himalayan sea salt. 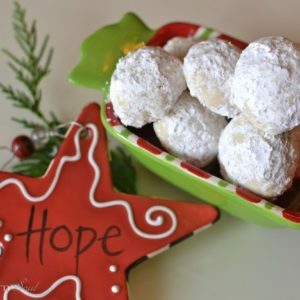 This is one sweet treat that’s so simple to make yet full of delicious indulgence! Place corn flakes into a medium size bowl. Using your hands, break the flakes into smaller pieces. Set aside. 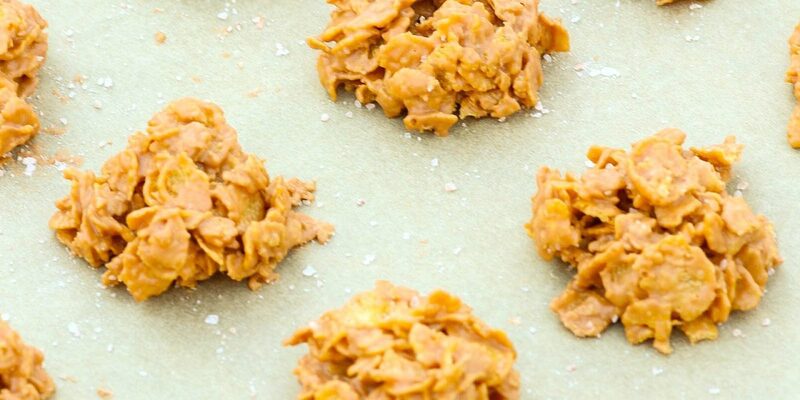 Melt butterscotch chips in a small sauce pan. Add in peanut butter and cook for 1 minute stirring to mix. Pour mixture over corn chips and stir to coat. 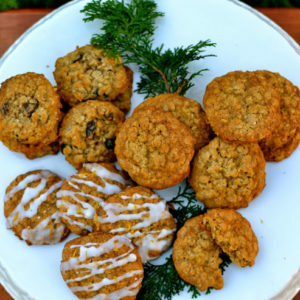 Using an ice cream scoop, measure out and place cookies on parchment or waxed paper line baking sheet. Place in fridge to set. Remove after 10 minutes and enjoy! **Cookies can be stored in a ziptop bag or airtight container. PIN this recipe to SAVE! A kindred soul! I am not a big cookie baker – they always seem like a lot of work for very short-lived results. Give me bar cookies or unbaked any time. I look forward to trying this recipe. Mary! We are now best friends. I feel the exact same way. I hope you like the recipe. It was a BIG hit with Mr. A Southern Soul. 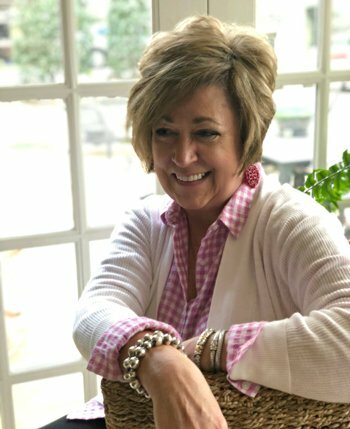 I love every single word you shared, Mary! Thank you so much. Looks like we’re new best friends.